So why coffee? Well for starters, my husband, Josh rarely ever drinks it. How boring right? He just has this natural energy and stamina about him that he has never really felt he needs it…this man works in a cubicle for a large bank. All I can think of is the movie Office Space and how I don’t think I could go a day without coffee somewhere like that, but he does. The funny thing is he would drink it with me on the weekends, more for a tradition of spending time together and either making it at home or going to one of our favorite local spots. 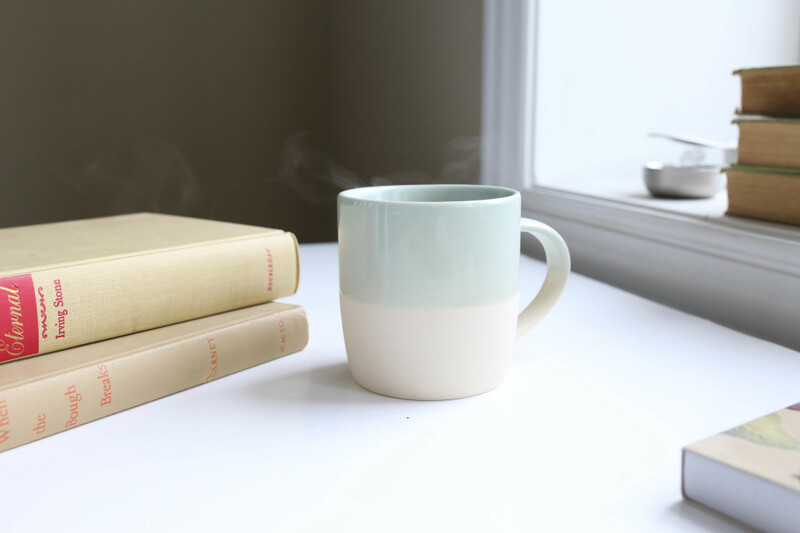 I then realized drinking coffee wasn’t really that special to me, it was something I thought I needed daily to get through work or any activity. Thus began my “I CAN’T DO IT, GIVE ME COFFEE” journey. 1. I didn’t quit cold turkey. I actually still drank coffee for a few days but I lowered my intake. I was drinking a cup in the morning, a cup or 2 or 3 at a meeting in the afternoon and a cup around dinner time (no wonder why I was up till 3am every night). I know some people may drink way more than that but to each their own. Anyways, for 2 days I took out my evening cup, 2 days later I took away my lunch cup and then for a week I still drank my morning cup. 2. I drank chlorophyl water. Sounds weird right? 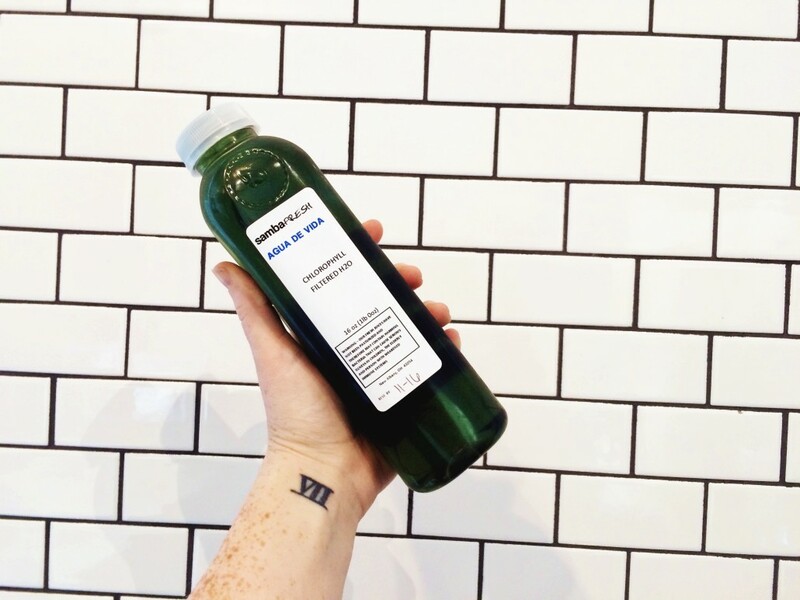 Who doesn’t want to drink green water? 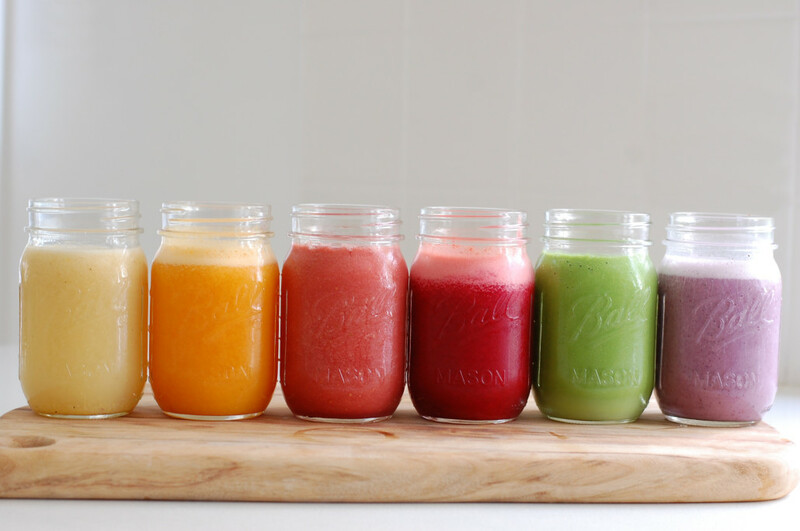 I bought these from SambaFRESH, my favorite juice place in Columbus, for $4. This was an expensive habit for a couple days because I was still buying my coffee plus drinking these but it was worth it. Chlorophyll is magic. It helps cut cravings, neutralizes toxins (why eating veggies high in chlorophyll, such as spinach, are so healthy for you and balances out chemicals like heme which is what causes cancer in red meat), stops growth of unfriendly bacteria, purifies the liver, it is antibacterial and an antiseptic. I drank these along side my normal cups of coffee where I eventually got to the place of just drinking it in place of. It was the satisfying warmness of the perfect Ethopian blend or an iced honey latte from One Line but it helped take the cravings away and helped any headaches. It helped my headaches so much it is actually one of my go-to’s when I feel a headache or migraine coming on. 3. I juiced or made a smoothie. I have a whole bunch of weird food aversions right now which will be a whole other post… but because of that it has limited my breakfast choices so I consciously started juicing or making smoothies for my first meal of the day and yup, you got it, I still drank my morning cup of coffee. I actually found out that after a week of juicing and making smoothies I felt more energized and the “I NEED” desire started to disintegrate. If I bought or made a juice, it was something with high citrus to set my blood sugar levels for the day. If you can eat or drink grapefruit, I would recommend adding that to your morning routine. I noticed a renewed sense of energy after digesting anything with grapefruit. 4. I drank a ton of water- with no ice. I love water but I tend to forget to drink it unless I am working out or at a restaurant so this was an interesting challenge. I went and bought a cute glass water bottle and told myself I could only justify the purchase if I drank at least 6 of those a day. The first couple days I think I only drank about 3 or 4 and I was peeing every 5 minutes but eventually I got to the point where it just became a habit and some days I drank 8 or so. I did water without ice because ice shocks your digestive system, so room temperature water is actually more gentle on your system. This was also an adjustment but now I am use to it and I even request my water with no ice, like a douche bag, but oh well. A happy digestive system is a happy me. 5. I ate dark chocolate. I love dark chocolate so this wasn’t a big deal for me, but I added a couple small pieces of dark chocolate into my daily regimen. I would break off two small pieces and eat them in the morning or afternoon when I felt like I was dragging. Dark chocolate has traces of caffeine in it, so it settled that craving but I also feel like the serotonin part of my brain was triggered. I felt like I was giving myself a treat which replaced my desire of the coffee being my treat. Of course, chocolate has a lot of sugar in it, so it isn’t ideal to eat everyday but even if you are eating eating nuts covered in dark chocolate, you will notice a difference. 6. I ate more protein (and less carbs). 7. I told myself I could. And those are my secrets-not as crazy as you thought huh? Let’s be real here, I still drink coffee but it is when I want to drink coffee and not because I feel like I need to and it is an invigorating feeling. 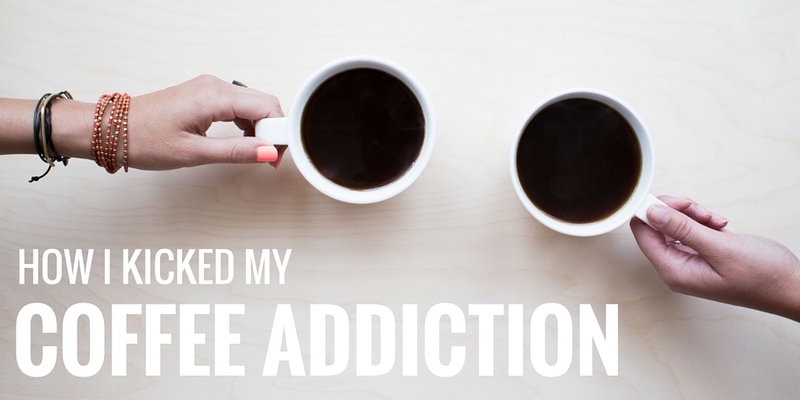 Have you tried to break your coffee addiction before or have you done it successfully? What have you done? I would love to hear from you guys.